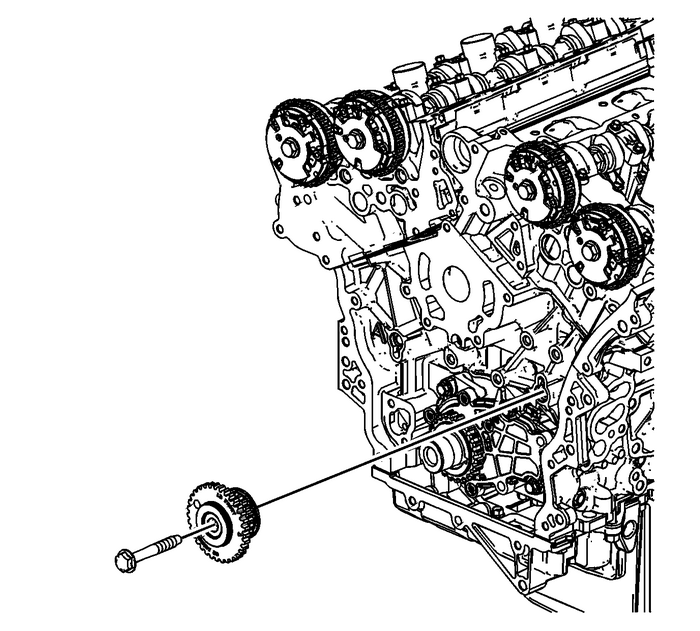 Ensure that the left camshaft intermediate drive chainidler-(2) is being installed. 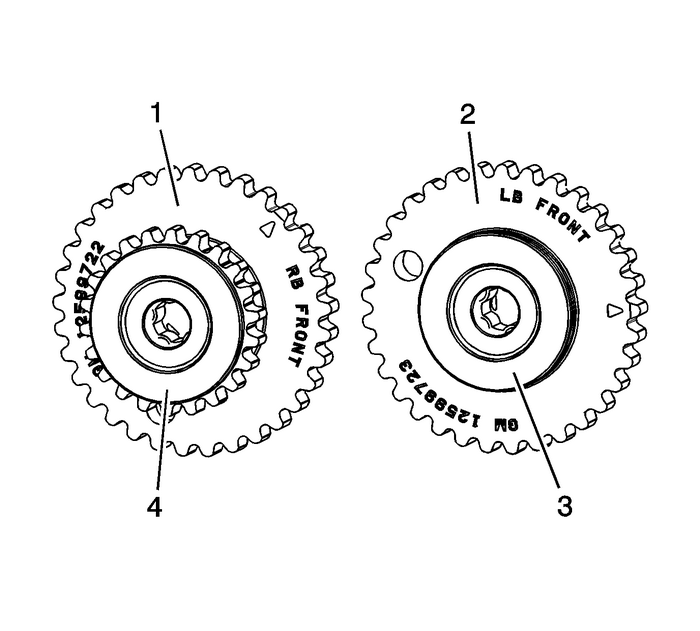 The recessedhub-(3) and the larger sprocket of the left camshaftintermediate drive chain idler is installed outward. The raised huband the smaller sprocket of the left camshaft intermediate drivechain idler is installed towards the block. Place the left camshaft intermediate drive chain idler to thecylinder block. Install the camshaft intermediate drive chain idler bolt andtighten to58-Y(43-lb-ft).